Kool Kat Entertainment Florida Wedding & Party DJ Lighting and More! 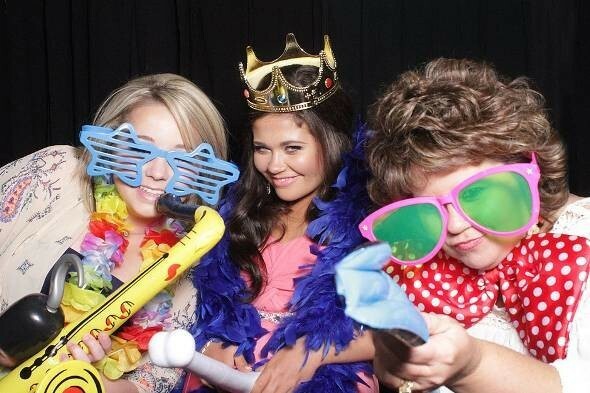 Add some more laughter and fun to your event with silly pictures! If being unlimited is wrong, we don't want to be right. 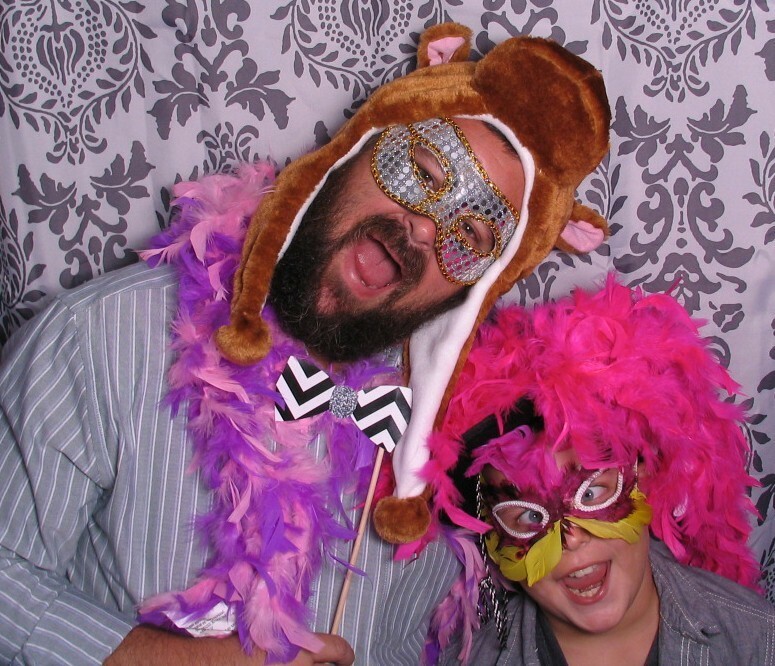 Enjoy the photo booth for as many double prints as your heart desires. Our vintage memory making machines produce two prints per session. You can select a traditional photo-strip without artwork or you can customize your own look. We will walk you through the process and make the photo-strip you imagine in your dreams. 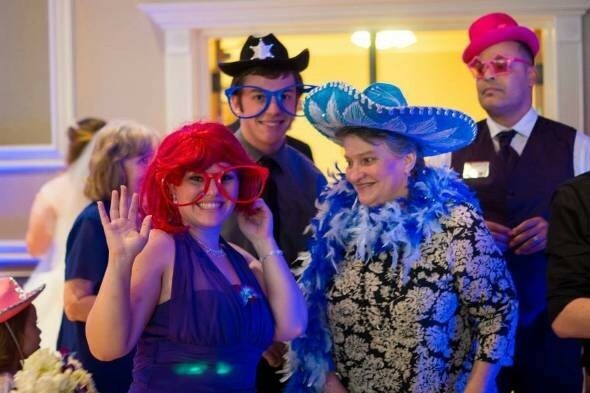 At your request, we will post your photos for your guests to enjoy, tweet, or "like" for free. We also have the ability to instantly upload photos to facebook and collect email addresses. The photos, all high resolution, are saved for you to enjoy. Choose your method of transfer: a USB made onsite or download it from the cloud. 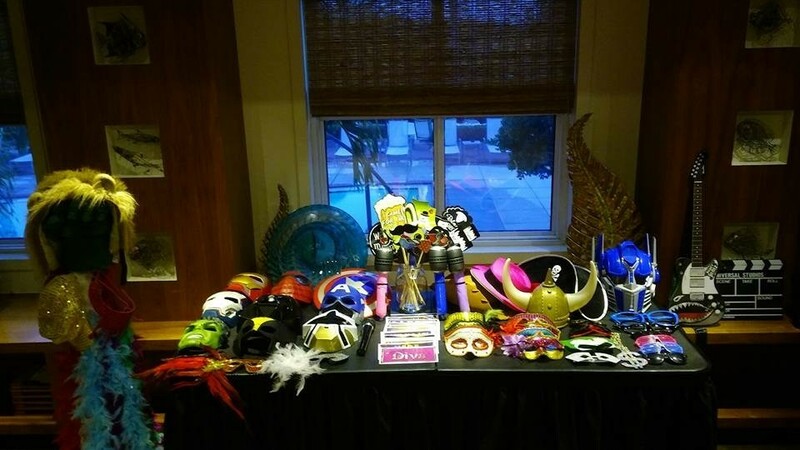 A photo booth attendant will be on site during your event to ensure our service is completed to perfection. 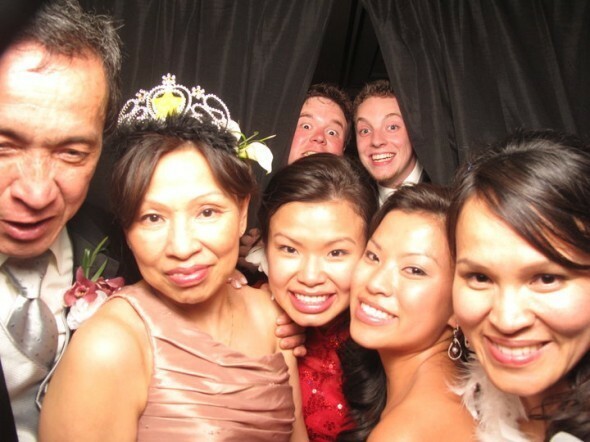 Our Photo-maticians are experienced in photo booth knowledge and event etiquette. Call us today to reserve your booth. You'll love it! 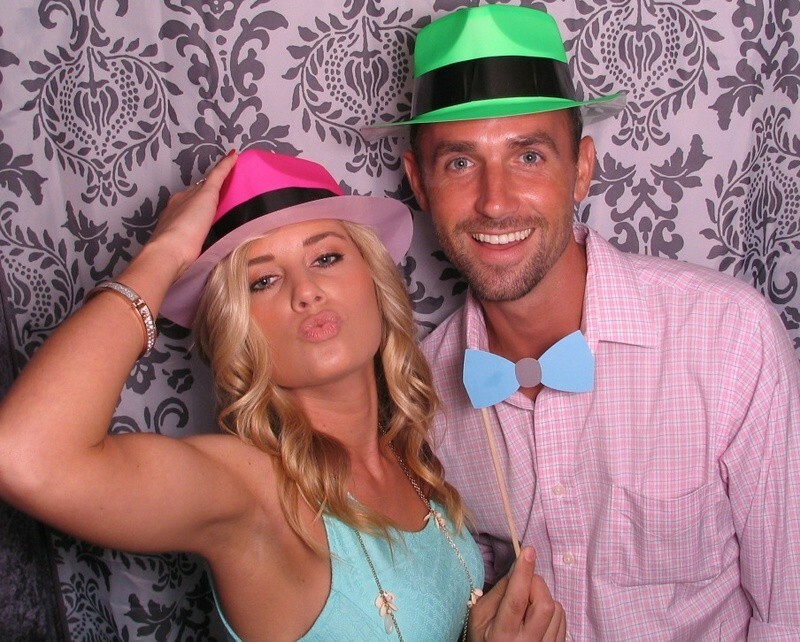 Photo Booths are great for weddings, Corporate events, conventions, birthday parties, class reunions, bar and bat mitzvah's, sweet 16 parties, proms, grand openings, anniversary parties, holiday parties and more. Make your wedding or event truly memorable by sending your guests home with a picture. They'll get an instant printout of their photo booth session that they can take with them right away. For corporate customers, turn that printout into a powerful marketing tool for your brand by putting your name on it. Put your logo on the photo strip or brand the outside of the photo booth and make your guests remember where their photos came from. 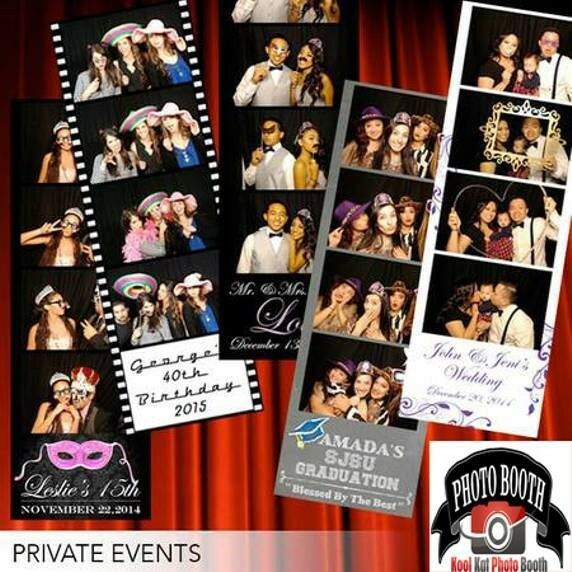 When you choose Kool Kat Photo Booths, you will get a professional, digital, photo booth with professional service. Our booth is approximately 5' wide x 8' long x 8' tall. There is an LCD monitor mounted inside the booth that will display a count down before each pose and display the previous poses for you to view and enjoy while the camera prepares for the next shot. Our booths are very portable and will fit in any venue. 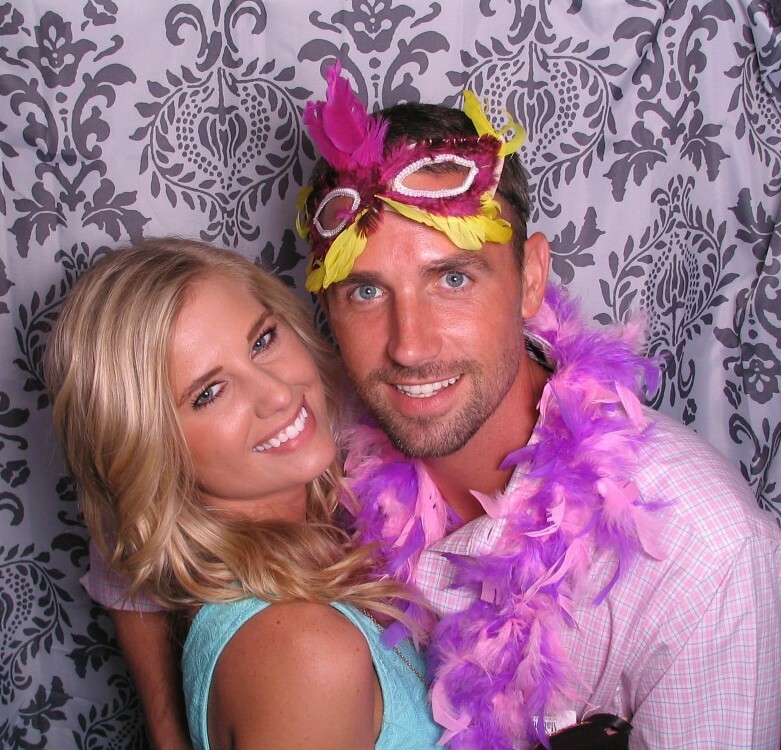 The price for our photo booth rental in Florida is $599 which includes 4 hours of rental (which is usually enough time for any event) with as many sessions and prints as you can take in that time frame. (only $500 when added to a DJ Package! you get a booth attendant & Tons of props for your theme. Our booths shoot with a professional photography set up including high pixel cameras, fill flashes, live feed LCD monitors, and quality photo paper. We offer the same digital technology and look as our competitors at half the price in Tampa and surrounding areas in Florida. Set up and take down is all taken care of at no additional cost by one of our friendly attendants. A digital copy and upload of all event photos is also included in the rental price. Our staff is there to help engage and entertain your guests, while running a smooth and seamless event. We won’t get in the way, and we won’t step on anyone’s toes. Phew! Lots to choose from right? Don’t worry… We make it easy! We will gladly walk you through each step of the process, in an effort to help you narrow down what type of photo booth rental package or upgrade option makes the most sense for you specific event.